The answer: Children need their primary teeth for adequate eating, proper speech development, and continued dental arch development. Non-restored carious teeth (“cavities”) can lead to pain, infection, and swelling. This affects a child’s ability to gain sufficient nutrition, contributes to inability to concentrate in school, lack of sleep, and affects their overall quality of life. It is important to preserve primary teeth when possible because they act as space holders in the developing dental arch for the adult teeth that will eventually replace them. There can be significant space loss that occurs when primary teeth have cavities that destroy tooth structure and/or are lost prematurely due to extractions necessary because of extensive decay. When space is lost, it limits the space that is available for the eruption of the subsequent permanent tooth; orthodontics will likely be needed to create adequate space for the adult teeth in these instances. Dental therapy seeks to not only restore affected teeth but also promote the remineralization process. There are several factors that are considered when decisions are made regarding treatment options for carious primary teeth. Baby teeth or primary teeth are structurally different than adult teeth or secondary teeth…they are not simply smaller versions of adult teeth. 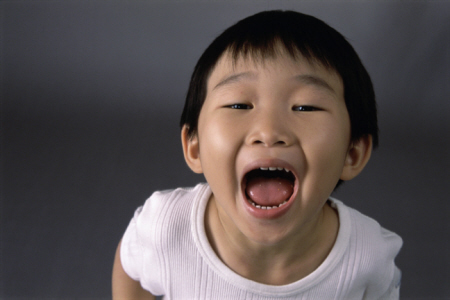 Primary teeth have thinner enamel and dentin. The progression of cavities in primary teeth is significantly faster than in secondary teeth. A tooth that would have only required a filling may require a crown or extraction in 6 months to a year if left untreated. Primary molars have broader proximal contacts, varied anatomy of roots and canals, and narrow occlusal (biting) surfaces. These factors, along with those mentioned above, dictate the rationale behind the type of treatment that may be chosen for a particular tooth; such as a stainless steel crown vs a filling. Some of the main objectives in restorative dentistry is to prevent further destruction of tooth structure from caries, restore form and function, maintain pulp (nerve) vitality when possible, and aid in ability to maintain proper oral hygiene. In children, the development of a comprehensive treatment plan incorporates many aspects including the stage of dental development, caries-risk assessment, restorative needs, ability of the child to cooperate. There is not a one-size fits all model for dental therapy in children. Each child is a unique individual with many facets that make them who they are…the approach in their dental care should be no different. The Handbook of Pediatric Dentistry-American Academy of Pediatric Dentistry, Fourth Edition.